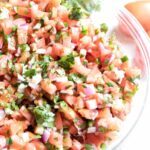 Just 6 simple ingredients, that’s all you need. 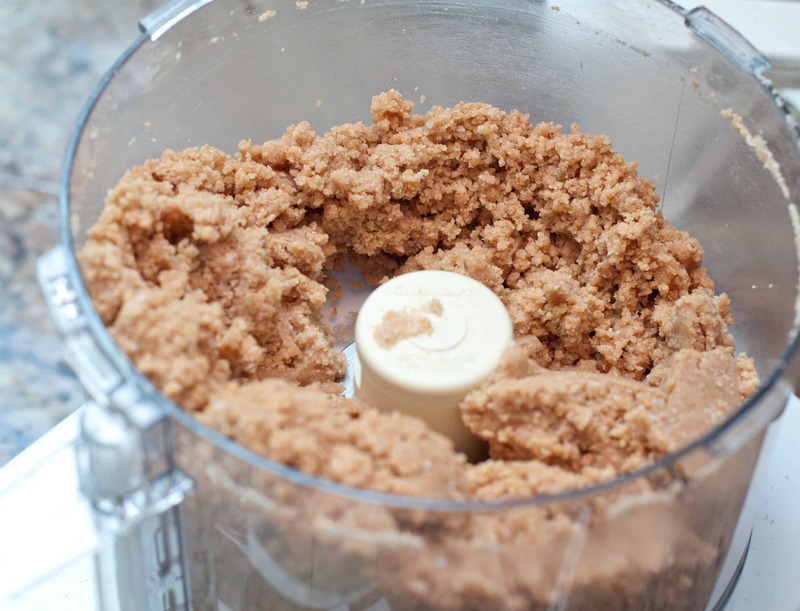 and while blending, just add the water until a doughy ball begins to form. Start with a 1/4 cup of water and add a little more at a time while a dough forms. 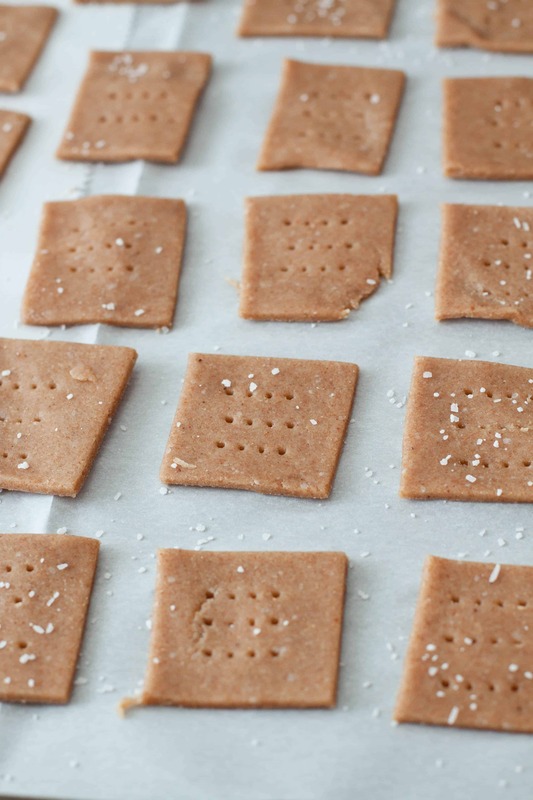 Then it’s just rolling out bits of the dough super thin (the thinner the better – you’ll get a nicer crunch on the cracker), and piercing the individual crackers with a fork. 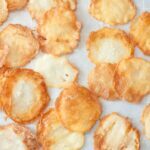 Add these little guys on parchment lined baking sheets with a final sprinkle of salt and bake ’em at 400 degrees for about 5-7 minutes until the edges begin to brown. When they’re done, you have delicious crispy, salty, Wheat Thins from scratch! 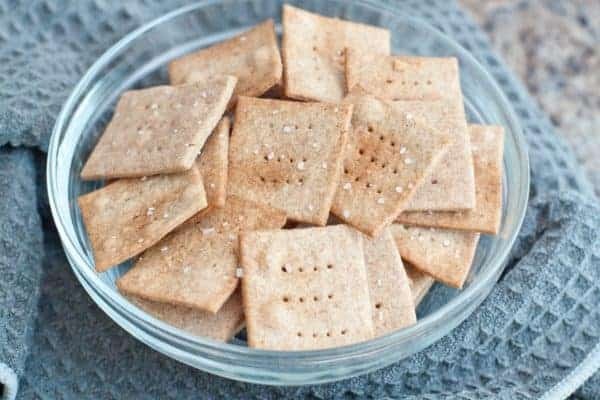 Make your own Wheat Thin Crackers from scratch with just 6 simple ingredients! Pre-heat oven to 400 degrees and line large baking sheets with parchment paper. 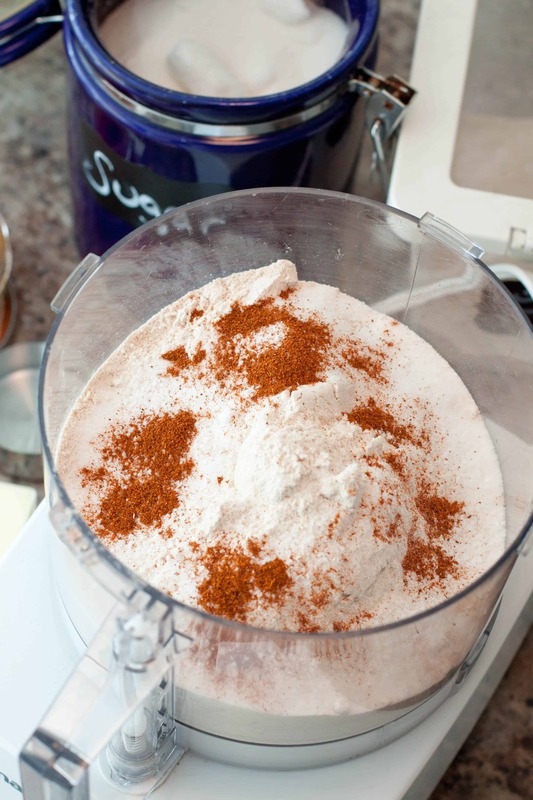 In a food processor, add the flour, sugar, salt, and paprika and pulse once. 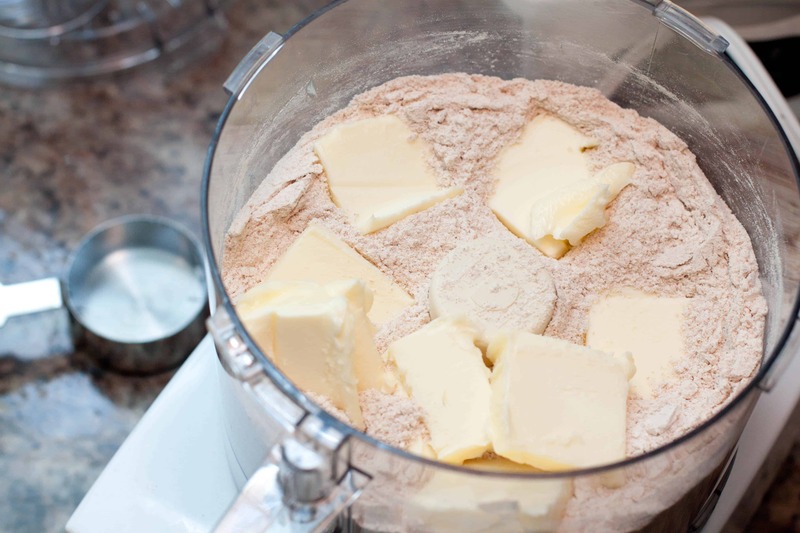 Add the tabbed butter and blend then scrape down the sides. adding the water slowly, 1/4 cup at a time, while blending until a dough forms. 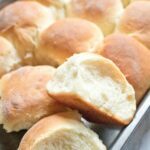 On a clean floured (if necessary, my dough is usually butter filled enough to not need added flour) surface, roll out small batches of the dough at time, as thin as you can. Cut out 1 1/2 - 2" squares and then poke with a fork. 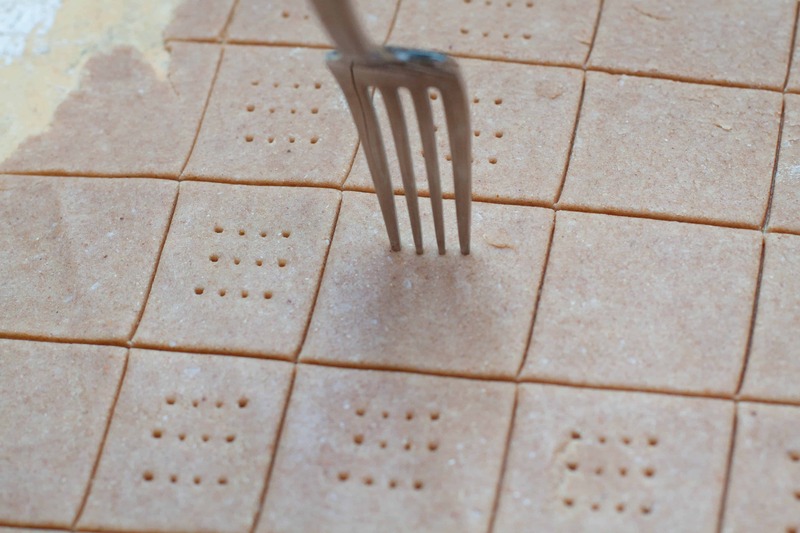 Using a baking spatula, transfer the squares to the parchment lined baking sheets and bake for 5-7 minutes keeping an eye on them because if you've gotten them nice and thin, they'll cook nice and fast! Remove from oven when edges begin to brown slightly and transfer to a cooling rack. 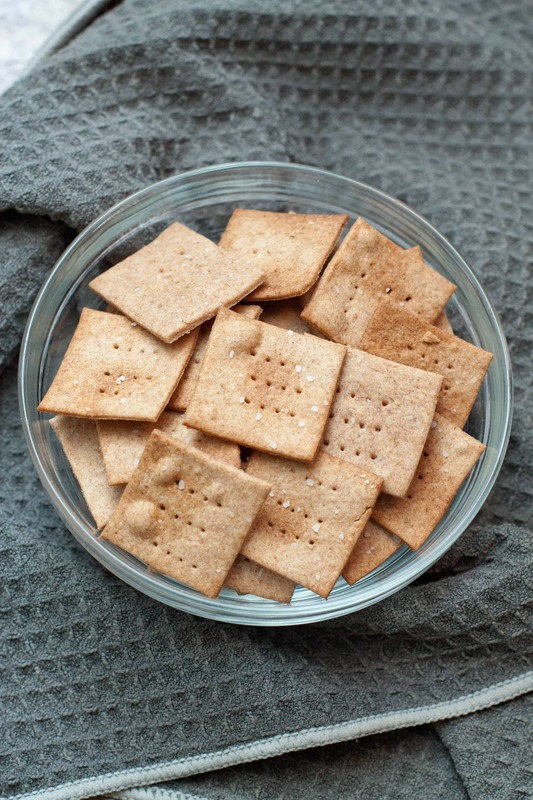 Crackers will last in an air tight container at room temperature for a week or two, or will freeze up to two months. I did not realise how easy these were to make. I spend soooooooo much money buying thins like these. I’m listing all things I can spread over this wonderful thins. Love this homemade version! 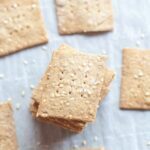 I’ve not make crackers like this for ages, a great reminder to make my own again – so delicious and so frugal to make your own. Yummy! We’re big fans of crackers here too. I tried making them once. 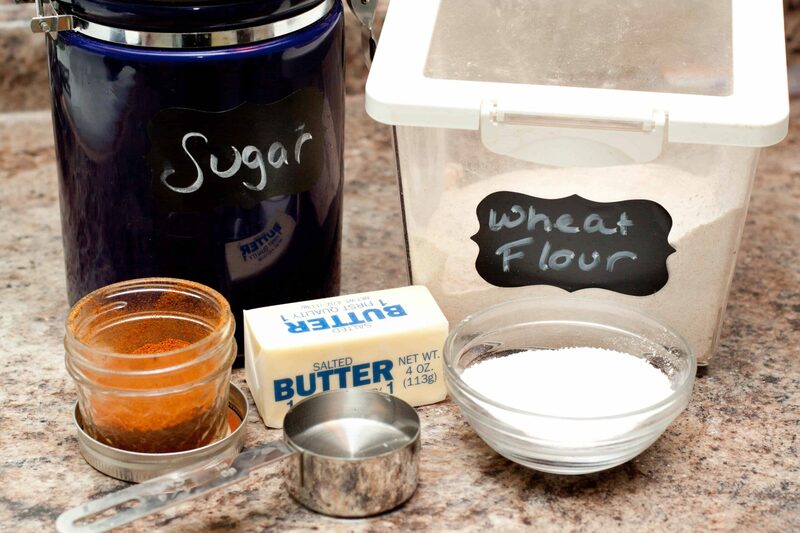 Let’s just say always pay attention to which jar is baking soda and which is baking powder! !